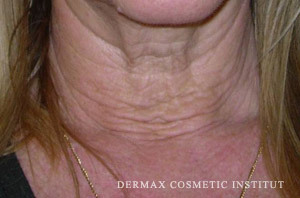 Vitalaser treatment is a painless, side effect free skin rejuvenating treatment. Cold vitalaser can be used effectively in cosmetic wrinkle filling, it regenerates the skin of face, neck, decolletage and hand, which marks the passage of time. 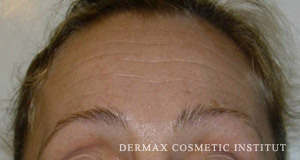 This laser anti-wrinkle treatment is one of the most popular hyaluronacid treatments. The treatment efficiently corrects the problems of skin aging, moreover the laser light can also heal the inflamed, acne skin successfully. 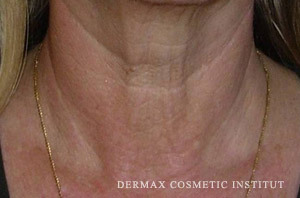 After the first treatment results are already visible. 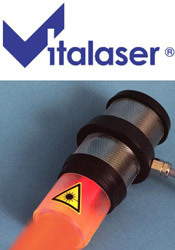 Vitalaser is one of the safest laser types, the most up-to-date technology against wrinkles. It emits visible light, but burning is out of question as the treating head cools itself continuously. 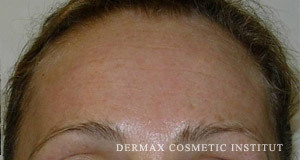 The treating head contains 6 laser light sources, so a relatively large, 4,5 cm area can be covered and treated. The treatment is gentle, absolutely painless. We use Vitalaser lifting gel that is a molecular, undiluted hyaluron nanogel, whose molecules can be introduced during a biological process into the basal layer of skin. Hyaluron nanogel is made with biotechnological practices from natural, non-animal hyaluron acid. It doesn't cause allergies. During Vitalaser treatment the lost hyaluron acid can be restored in the skin and you can feel the effects immediately, and the results are long-lasting.